When I decided to go into the field of librarianship, I began researching about African American women that were former librarians in the United States, that would give me wisdom and spiritual guidance. I stumbled upon an article regarding an African American librarian that was a playwright and arts patron. Regina M. Anderson Andrews received her Masters of Librarian Science degree from Columbia University. Regina M. Andrews (married name) contributed to the profession by producing lecture, drama series, and art exhibitions. In addition, she was one of the 1st African-American Librarians, out of three, to head the New York Public Library before 1950. The librarian contributed to academia with a thesis, A Public Library Assists in Improving Race Relations. Mrs. Andrews retired from the NYPL in 1967. Her professional advocacy also included working with the National Council of Women and the National Urban League. 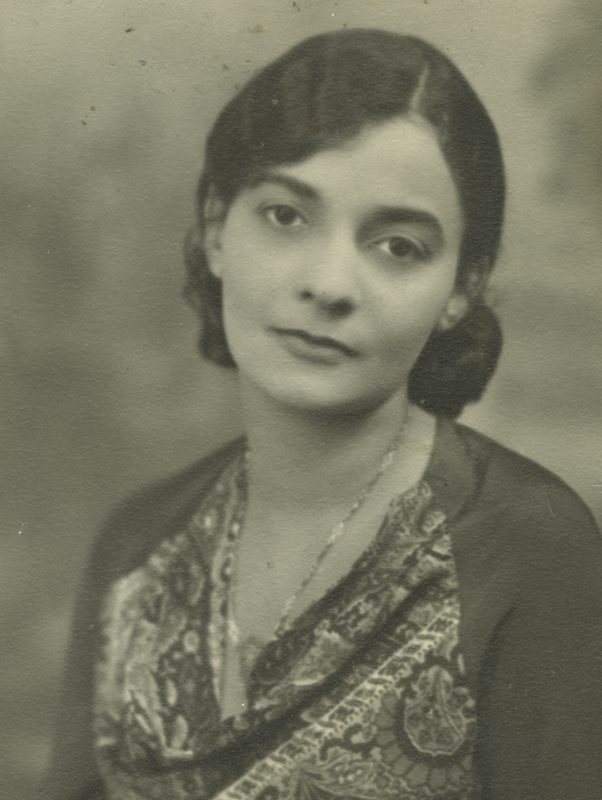 Regina M. Anderson was an art advocate and participant during the Harlem Renaissance, turning her home into a salon for artists, writers, and intellectuals. She also had an pseudonym (Ursula Trelling), writing two plays under the moniker including, Climbing Jacob’s Ladder (1931), and Underground (1932). The writer also helped found the Krigwa Players (a theatre) with W. E. B Du Bois. This photo is very popular. Regina Andrews captured the image at her salon. 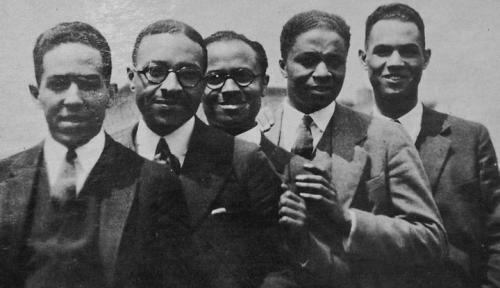 From left to right: Langston Hughes, Charles S. Johnson, E. Franklin Frazier, Rudolph Fisher, and Hubert Delaney. I felt that our lives are parallel, and I’ve studied Mrs. Andrew’s idea of hosting artists in my art studio, and writing and librarianship. Since learning of her existence and transition, I want to continue her legacy and make my own mark in the world. Learn more about Regina M. Andrews via her website: http://harlemrenaissancelibrarian.blogspot.com/. « I Keep It Nerdy!